“Gina’s personal integrity and professionalism is of the highest quality. She has the ability to express powerful and effective messages, which foster healthy living and wellness. She is able to touch people on a personal level as well building a stronger, healthier community at large. - David Mueller, Vice President, Caring Hands Inc.
"Very important message that needs to go to people all over the world . Tony M.
"A brilliant expression of Spirit. Transcendent, touching, inspiring!" "This show is a representative and ambassador of agreater reality!" "This must go to the masses! Tears filled my eyes through at least 3 different parts... Thank you for the hope, wisdom and inspiration. Miss Gina Citoli!! Broadway better get ready!" "One of the most Awe- Inspiring shows ever!" "Dazzling and passionate. Delivered with an astounding voice." "Look out Broadway here she comes." and will inspire many with her Cabaret of Consciousness in years to come. I am honored to know her as an artist. She’s a pro!" “A powerful, creative, brave and utterly enjoyable performance. It moved me deeply. The information was not new to me, but the presentation worked its way into my heart in a new way. is an entire library synthesized into a high-energy one-woman show. And what a show it is! Gina as 'Mama Earth', a living, breathing, singing, dancing, tell-it-like-it-is, no-holds-barred mama, who will no longer be ignored. She is enlisting our help, all of us, to do right by her. After all, she's our Mama. 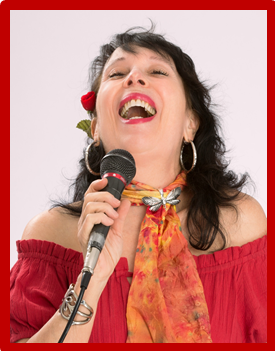 "Gina's 'Cabaret of Consciousness' was a fabulously inspiring and musically entertaining exploration into the realms of higher consciousness from the perspective of the 'Earth" herself. The performance invoked a preciously possible vision of the 'Golden Age', a vision near and dear to my heart!" "The performance was phenomenal and entertaining! It had an intense energy and passion that carried throughout. “Gina was fabulous - what a great voice and personality. Her show is inspiring and uplifting. "The star quality Voice, the thought provoking and soul touching lyrics, the engaging music.. Riveting, exciting, and spellbinding! "A Cabaret of Consciousness is a brilliant expression of Spirit, a transcendent experience that touches, move and inspires. Gina Citoli as Mama Earth will have you enthusiastically nodding your head and heart with one huge "YES!" And I predict that the signature song from the show, "It All Comes Down to Love," will become a favorite source of inspiration for you --just as it is for me!" "The most life enriching performance I have ever had the privilege of experiencing . The lyrics were up lifting and delivered in such a way that I felt Gina was communicating one on one with everybody in the audience. A real refreshing experience. If you get a chance jump at any opportunity to listen." "I really enjoyed this performance. It is very educational and should really be addressed as a FAMILY EDUCATIONAL event. Gina is on the right path in educating us all! Her performance is so energetic, her expressions and the way she sings is spellbinding. a sensational soundtrack! Gina throws her heart and soul into this show, and the audience can't help but be inspired. “I had the opportunity to see Gina’s one-woman Cabaret of. She's got style, verve, humor, a great voice and powerfully conscious messages." "Gina is a presence to be reckoned with – combining rock star energy and crystal clear spiritual truth. Gina delivers the goods for the awakening world." "A Cabaret Of Consciousness is one of the shows that is a must see for all ages. Gina's ability to communicate and engage with the audience is nothing like I have ever experienced before. Her voice is like a choir of angels. Gina's sense of humor and her stage presence had me laughing, crying and just purely in a state of bliss. This one woman show was beyond any expectations I could have had......."look out Broadway here she comes." Throughout the day today, I've been musing on last evening's program and sorting through some of the thoughts and feelings that were generated. Gina’s performance was remarkable in a number of ways. Her sustained level of energy and engagement were extraordinary. The philosophical content of the show was well presented. It is not an easy body of information to condense down to an approachable level, but Gina managed to do it well. "What an eye-opener... Gina has a beautiful way of weaving a complex tapestry right before our eyes...and we experience every part of it!" - Amy S. Tolbert, Ph.D., CSP - ECCO International. What a night it was to witness, " A Cabaret of Consciousness"! For some time, I'd been hearing great reviews and was looking forward to the show and boy was I impressed! Back in the years when I traveled, I'd spent many days and nights in NYC, attending shows on Broadway and the likes, which helped raise my awareness of good talent. The moment Gina came on stage and began to sing, I felt my spirit lift. Throughout the show, I felt inspired and positive. I couldn't help but think what an amazing and talented performer and whispered to my girlfriend... " she belongs on the big stage"! Thank you for sharing your creative and magnanimous heart and soul to this small university community of River Falls. We're very fortunate to have you. 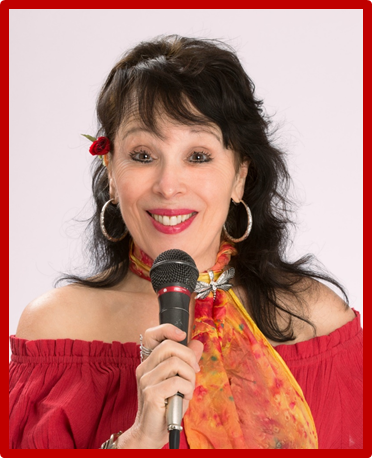 "Gina Citoli has masterfully produced a show that is both entertaining and informative. 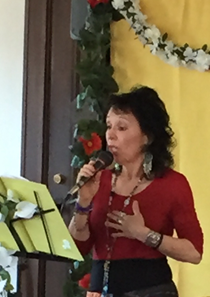 She teaches about personal and universal evolution as well as self-empowerment, through song, stories and facts. Her manner of entertaining/teaching is universal and can be understood by all.